The traditional roofs are made of wood and interlaced palm leaves or grasses, which create a thick beautiful protection for the rain. Platano is the strongest wood and originally used for sacred buildings. A lot of second hand wood is used especially in area that are natural reserves. The palm leaves layer needs to be treated regularly against insects and completely replaced every 5 or 6 years. Roofing a 12'x20' cabana could cost about $3500. The overhang is typically pretty deep insuring enough shade to keep the building cooler. Most locals prefer corrugated zinc roofs, which are cheaper and require less maintenance. I also heard that president Ortega has been giving zinc roofs to people to win their votes. Clay tile roofs are also common and typically set an a wooden structure. Vernacular and natural buildings have often walls made out of mud and straws. The result is a very solid and strong wall that has great insulation properties. It's built compacting layers of this material so that there are no crevices left. No forms are used but just horizontal and vertical strings to guide the alignment. There could be vertical cavities running inside the thickness of the wall to improve insulation, or horizontal openings made typically with bricks to improve cross ventilation. The finish is applied with layers of a progressively more refine mix of mud, straw and horse escrements. Yes, that's right. Wood is also used for vertical enclosures in traditional architecture. Often the most solid material is used only up to the bottom of the windows, leaving the upper part to lighter structures made with bamboo or similar. Cross Ventilation is extremely important and oftenthe walls have permanent openings covered with mosquito nets. In Nicaragua the soil is very rocky because it's a vulcanic land and especially small buildings have rock foundations. Stilts houses are also very common to insure protection against flooding and also to keep out vermin. The shady space under the house can be used for work or storage. __I believe that yoga is more than just bringing the foot behind the head. It is about re-connecting and feeling good about ourselves. It allows us to remember our own strength and beauty and re-align ourselves with something that is bigger than us. Through yoga we can get out of the mind and into the body and heart. We learn that we are free to make choices, so instead of turning away from the world, we engage with it in a conscious way with a new set of tools and new awareness and clarity. Our goal is to create balance and remove any blockages that keep us from living with joy. When we are living our truth and free from fear, we will inspire others to do the same. Anybody can practice Yoga. There's no competition, and it's not about flexibility or strength. The goal is to take some time to dedicate to yourself and re-connect. 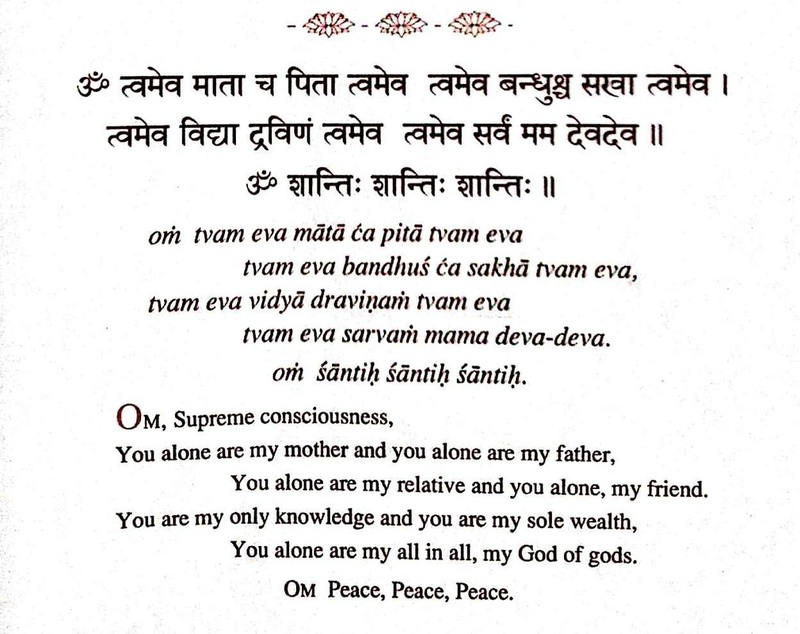 "Sthira Sukham Asanam" Patanjali says in his Yoga Sutras. Remember: Relax also your Ego!! ...and listen to your breath! The practice of yoga is an art and science dedicated to creating union between body, mind and spirit. This art of right living was perfected and practiced in India thousands of years ago and the foundations of yoga philosophy were written down in The Yoga Sutra of Patanjali, approximately 200 AD. The Yamas are five ethical principles to guide our life, they are oriented toward our public behavior and allow us to coexist harmoniously with others. Their observances help us develop the more profound qualities of our humanity. “Yama is cultivating right perception in order to examine the true facts and consequences of the issue we are confronted with. Yama is the cultivation of the positive within us.” B.K.S. Iyengar. I’d consider Ahimsa in its broad meaning of non violence in feelings, thoughts, words, or actions. It is compassion towards yourself and others. It is kindness and care towards all living creatures and things, including reducing waste and respecting the earth. On the mat, be kind to yourself; listen to your breath and to the messages of your body. Don’t push if you should be pulling back, don’t fight when you need to surrender; don’t force your body to do things it’s not yet ready to do. When we are forcing, we are not feeling, and awareness and harmony in the body cannot exist. Practicing Satya means being truthful to our feelings, thoughts, words, and deeds. It means being honest with ourselves and with others. “Truth is an absolute of staggering power…Truth is not a weapon to be abused, and the sword of truth has two edges so be careful… we cannot impose our truth on others, and we must always make sure that our actions do not do violence to others.” B.K.S. Iyengar. On the mat, assess yourself honestly, listen to your breath and body, and work at your own level. Be content with it wherever it is: you are being true to yourself. A pose is too expensive if it is bought by selling Ahimsa and Satya. Stealing is motivated by a greed springing from a perceived lack of abundance, from the thought that there is not enough for everyone and that we will not receive in proportion to our giving. Asteya is about rooting out the subconscious beliefs of lack and scarcity that cause greed. Experience abundance thru breathing: when you inhale, your body naturally keeps just what it needs, and then when you exhale, you let go of what doesn’t serve you, knowing that there will be another breath right after. There’s abundance in the Universe and we shouldn’t hold on to more than what we really need. On the mat, don’t hold back in a posture because you may fear you are not going to have enough energy to do the next pose. Each pose gives the energy required to do it. “The lack of self-discipline in any area is a waste of energy. Even throwing food away is an offence against the life force of the food. If, on the other hand, you overeat, it Is an offence against your own life force...Brahmacharya is the ethical control of a powerful natural force. The degree of control will depend on the degree of evolution of the practitioner.” B.K.S. Iyengar. On the mat, keep the lift of the pit of your abdomen: this actually conserves the life force. Once conserved, this pelvic energy can be channeled up to the heart, the home of the indwelling Self. On the mat, do your practice alone, even in a large class. Don’t look at others in the room and compare. Keep your gaze inward, work on your own body, at your own capacity. “Light on Life” by B.K.S. Iyengar. PACKING FOR BACKPACKING: MUST HAVE ITEMS! In general I believe less is more, and in particular when you are traveling. - Small size bags of salt, pepper, sugar, tea bags or granulated coffee, cereal bars/ nuts: I bet you are gonna love me for this one at some point! - Swiss knife, and spoon-fork combo. - Rain Poncho: a thick one that covers also the pack, not one that you want to throw away after 5 min of use. - Sealable plastic bags of different sizes. Ziplocks are just fine. - Yoga towel: if you are a yogi, it's good for your practice on sand and decks, but also as a blanket and beach towel. I would bring also a foldable yoga mat, see below. - Post-it & travel guide. - Local language grammar book. - One piece of clothing of every length and thickness, eg. one pair of shorts, one at knees, one long jeans. One warm sweater. - Sun block: sometimes it's expensive and difficult to find because locals don't use it in tropical countries. - IPhone or smart phone to catch wifi, camera with great zoom and... chargers! - USB stick and additional camera memory card. - Hat, sun glasses, and light scarf. - Basic drugs: pain relief, general antibiotic, and band aids. - Tissues and wet tissue. -Passport and pictures of it on your phone/camera. -Aluminum water bottle for refill: reduce waste!!! - A foldable bag: I love the Envirosax, they're big, light, strong, and washable! -Your favorite toiletry items: it's difficult to find your favorite brands on the road! - The Yoga Trail has a new location in Italy, in collaboration with Orto Dell'Idro, a non-profit organization that promotes sustainable and conscious living in nature, in a green valley 5 minutes walk from the sea and surrounded by orchards! - Check our 5 star reviews on Tripadvisor and Yelp. - Silvia, founder of The Yoga Trail has her own channel at Online Yoga TV, a video platform powered by Yoga Magazine. She also has a gentle Vinyasa Flow class on Yoga Download. Silvia has her own channel at Online Yoga TV, a video platform powered by Yoga Magazine. Discover the importance of balance between Yin and Yang with this two in one open level class. Find balance on and off the mat, blending the energy and muscular training of vinyasa yoga with the ease and relaxation of yin yoga. Explore the shapes, the movements, the correct alignments, and the theory behind the practice of Yoga. Find out how yoga strengthens both muscles and will power, how it stretches both the body and the mind. Come breathe, move, and soak up the sun in the middle of Central Park! Open to all levels. Wherever you are in the world, if you have a good internet connection you can invite Silvia, the founder of The Yoga Trail, to lead you through one of her energizing and balancing classes using Skype. Enjoy the comfort of your home or practice while traveling! Contact us for more info or BOOK HERE. Silvia, the founder of The Yoga Trail will be teaching two classes at the Yoga Magazine Festival in Amsterdam. They will both be dedicated to the immense power of our heart, and to the chakra that resides there: Anahata, the gateway to loving connections with our self and others, but at the same time, a place that may contain pain from past hurts. Both classes (a gentle and an intermediate Vinyasa flows) will be focused on opening this beautiful channel: allowing held emotions to resolve, helping wounds to heal, and the loving energy of the heart to flow and shine through our lives with compassion and forgiveness. I believe Yoga offers the great opportunity to connect and empower your true higher Self, in particular through grounding into Nature, that's way I promote a lot of Yoga events outdoors. I'm very passionate about sustainability and I take Yoga as an opportunity to raise people awareness about honoring Mother Earth. 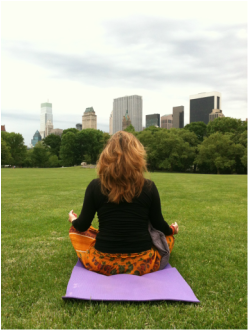 The Yoga Trail is a New York based group focused on outdoor Yoga and traveling. It was created in 2011 to help people find ways to travel and practice Yoga, reconnecting to Nature. Its founder Silvia Neri often travels offering Yoga classes, workshops and retreats, tracing The Yoga Trail as a network of Yoga studios worldwide. More HERE. THE YOGA TRAIL in collaboration with ﻿PRISMSPORT will offer a special gentle Vinyasa Yoga Class on the grass of Central Park on June 11, @6:30PM and every student will receive a pair of complimentary yoga pants! Our sponsor PRISMSPORT is offering all attendees a pair of capris in one of the 6 spring styles above: Watercolor, Bandana, Batik, Floral, Kaleidoscope, Reef. Which print do you prefer? Which size? XS, S, M, L? Make sure to let me know! READY FOR A YOGA ADVENTURE IN THE JUNGLE? Not enough time or money to go to a Yoga vacation in Costa Rica? Think again: GLAMPING! The Yoga Trail offers you unique opportunity to be an eco-community immersed in the beautiful Nature of Costa Rica, a place described by National Geographic as the most biologically intense on earth... AND IT'S VERY AFFORDABLE! ONLY $180!!! Hike to waterfalls, learn about permaculture and sustainable living... and connect with Nature even deeper with Yoga and guided meditations! I'm a Yoga teacher, an Architectural designer, and a Nature lover committed to spread environmental awareness. I'm infatuated with cultural exploration and traveling, and I'm in love with Yoga. When I'm on the road I like discovering Yoga in foreign countries, and sharing my own. The Yoga Trail is a map of the Yoga that I discover during my journeys around the world. The Travel Blog offers general travel info of the places I've visited, e.g. transportation, sightseeing, lodging and restaurants. Yoga in NY shows my Yoga teacher activities when I'm home, in terms of classes schedule and events. The 7 Chakras are the energy centers in our body in which energy flows through, and they are related to basic states of consciousness and emotions. Blocked energy in our Chakras can often lead to illness so it's important to understand what each Chakra represents and what we can do to keep this energy flowing freely. This master class is the union of two ancient healing systems: restorative Yoga and Reiki, and it'll offer a unique experience designed to balance the chakras, finding energetic equilibrium, clarity, and peace within. Let's go upstate for a pleasant hike along the trails of this cute historic town along the Hudson River. A gentle Yoga class to relax the muscles and enjoy the grass will be offered at the end of the hike. Just 1.5hr from NYC! Expand your practice with one-on-one private sessions. Build your own personal practice and discover where yoga can and will take you. Develop strength, release tension from the body and mind, alleviate health issues. Improve your alignment with personalized adjustments. Whatever your personal goal, private sessions can help you build a path to balance and wellness. Silvia's classes unify the purity of muscle engagement, alignment and the connection of movement and breath to help you deepen your practice, create strength and experience the thrill of reaching beyond your comfort zone in a safe way. Creative, fun, energetic and relaxing Silvia's classes include active flowing sequences, Pranayama and breath work, chanting of Sanskrit mantras, and Yoga Nidra for deep relaxation. Business Yoga group sessions focused on relaxation, awareness and health at work encourage work/life balance, improve productivity and focus, and allow employees to bond on a more casual level. Classes or workshops can be held in conference rooms and lunchrooms, or outdoor during summer months. Adding a lunch time or after work yoga class or workshops will help reduce stress and increase happiness and productivity, improve posture, relieving back and neck pain, and increase and improve focus and memory. Wanderlust is a one-of-a-kind festival bringing together the world's leading yoga teachers, top musical acts and DJs. Their core mission is to create community around mindful living, which is a conscious, value-based approach to leading a sane & healthy life based on few simple principles: practice yoga, eat well, be green, practice purpose, create awareness, and showcase art. Find tranquility and transcendence in the midst of the world's most commercial, frenetic and urban place, Times Square. 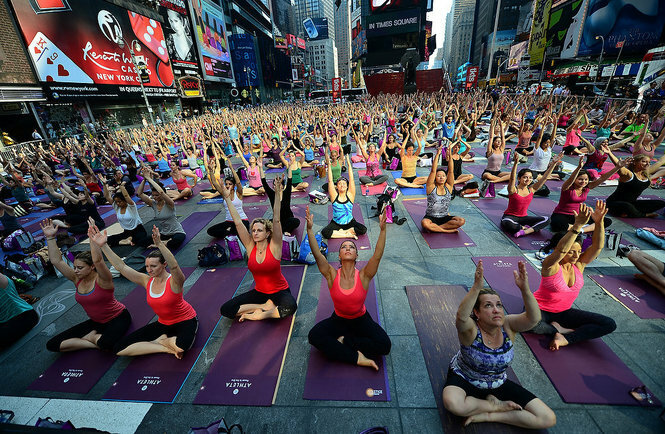 Thousands of yoga enthusiasts will come together for a collective ohm on the longest day of the year (June 21st) to participate in an all day yoga festival. THE YOGA TRAIL IN CENTRAL PARK! Yoga & Picnic this Saturday Sept 21st! Hello friends, Yogis and Yoginis! The season is changing and maybe we are left with just few opportunities to practice our yoga on the grass of Central Park. This Saturday looks promising so... let's do it! - Where: Sheep Meadow, Central Park. On the north side of the lawn in front of Le Pain Quotidien, W67 st entrance of the park. Make sure to bring something warm for final relaxation, and feel free to bring snacks and drinks for a little picnic hangout after class! Come and be my guest any time! - Thursday 1pm-2pm at Naam Yoga, UWS. ... and btw I'm also subbing today at Naam at 5pm! Come and join us for this fantastic Yoga retreat in the Quebec! Lac Leon is a small, pristine, beautiful lake 1hr drive north of Montreal, where no engine boats are allowed and peace, silence and beauty are the main attractions. We'll be staying in a great lake house right on the water, with private deck and canoes available. Accommodation is in private rooms with shared bath. Camping is also available on the entire property. All meals included, vegan and with locally produced products. 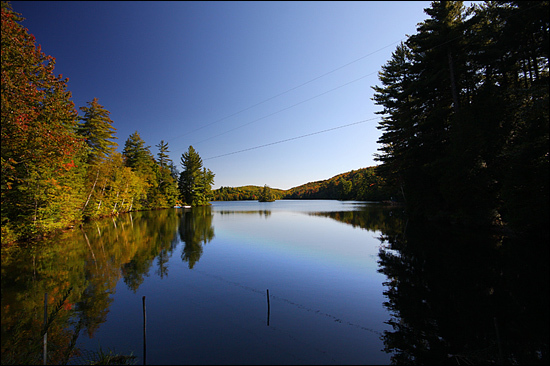 We'll offer two classes of yoga per day, before breakfast and at sunset, sessions with Reiki masters, hikes, bonfires and live acoustic guitar, and the all day to enjoy the beautiful lake life! Bring your tents, camping gear and yoga mats and join us for a fantastic weekend of Yoga, Nature, and Ocean! We'll offer two classes of yoga per day, early am and at sunset, sessions with Reiki masters, bonfire and live music at night, and all day to enjoy the beautiful ocean life!. Contact me for more info! Finally I'll be back at my yoga home, Ananda Ashram, in Monroe, NY. 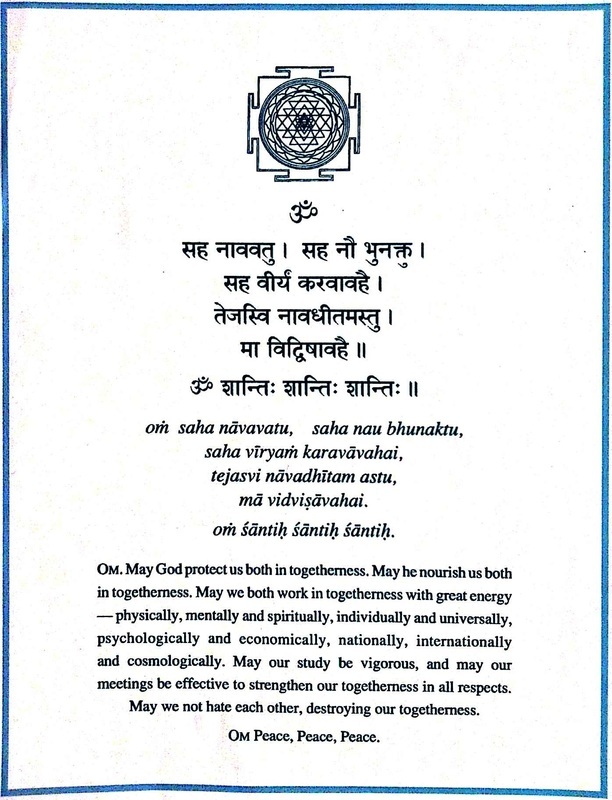 - Introductory sanskrit course, with Bharati. July 5-13. Come and enjoy this magic oasis of inspiration, peace, great vegan food, talented musicians, and authentic yogic tradition! Can you find it in the middle of Times Square? Join the challenge! Within Jet Lag festival there will be a camp dedicated to workshops, yoga, healing, live and electronic music, chill out area, hookah lounge, and body painting. I'll be teaching with Yoga Kula on June 16, 8-10am, a class completely dedicated to the Chakras. Come and join us!